FVDD is delighted to announce that on Sunday, January 24, 2016, at 3 PM, JAFCO will be hosting a special ceremony at their new Children's Ability (respite & program) Center in Sunrise, FL to thank FVDD for our donation towards the construction of this wonderful Center. There is a butterfly garden at the Center named after FVDD. 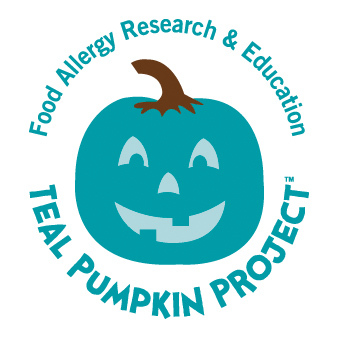 Join FARE's Teal Pumpkin Project™ to help us create a safer, happier Halloween for all!. The Family Cafe is now accepting presenter proposals for The 18th Annual Family Cafe, which will be held June 10-12, 2016 in Orlando. We would like to invite all qualified, knowledgeable individuals to submit proposals for breakout sessions at our signature event. The U.S. Department of Education will host its first ParentCamp October 26, 2015. The ParentCamp will be held at the U.S. Department of Education, 400 Maryland Avenue S.W. in Washington D.C. ParentCamp participants will be brought together to talk about the things that matter most to them. For more details about ParentCamp and to register, click here. The deadline for registration is August 31, 2015. There is a limited on number of spaces. Participants will be chosen through a lottery system. All chosen through the lottery will be notified by email. The topic will be "Obamacare/Affordable Care Act & Special Needs Trusts." It is my pleasure to invite you to attend the Autism Speaks Adult Services Town Hall event scheduled in Broward, Florida on September 10th as a Resource Provider. The event will take place at Bailey Hall at Broward College from 6:00 pm to 8:30 pm. The event will include a moderated panel discussion, an audience Q&A session, a resource fair, and many opportunities for networking. We are excited to announce this year's Charity Golf event will be held on Saturday, October 10, 2015 at Fountains Country Club. Please click here to register, volunteer and donate online. We are seeking 100 golfers, so please help spread the word. Back to School Teen Dance at the Sunrise Civic Center - Friday, August 14, 2015, 7 to 9:30 p.m.
Are you an Autism Service Provider? Showcase your services to thousands of walkers in our community! Tuesday evening, April 14, 2015 - 7:00 - 8:30 p.m.
Tuesday, April 28, 2015 - 10:00 - 11:30 a.m.
Tuesday evening, May 12, 2015 - 7:00 - 8:30 p.m. The National Task Group on Intellectual Disabilities and Dementia Practices announces a two-day workshop based on the newly developed NTG Education and Training Curriculum on Dementia and Intellectual & Developmental Disabilities. The workshop will present information on national dementia policy, dementia, program and support options, direct care and supports based on degree and stage of dementia, medical issues, environmental designs, supporting families, and other related matter. The workshop is appropriate or any staff with direct or ancillary care responsibilities of older adults with intellectual and developmental disabilities in both disability-related, healthcare, and aging-related agencies. Registration is open for this training.